Nothing boosts the atmosphere of a space more than the flickering light and comforting heat that emanate from a real fire. To achieve the very best results, it is essential to select a fireplace style that not only acts as a frame for your fire but also fits in with the overall design scheme of the room. Whether you are looking for a traditional style or a thoroughly contemporary design that will act as a fantastic focal point, there are lots of different options to consider. A well-chosen fire surround will inject an instant dash of personality into a room and could even be considered a selling point should you decide it is time to move on. Before purchasing your surround, there are a number of key factors to consider. These include the overall design statement you wish to achieve, the layout of the room, and the type of material - stone, marble or wood - that you prefer. Opting for a natural stone surround is an ideal way to make a bold design statement. A surround of this type is particularly suited to a larger room, where the distinctive texture and the noble character of this material will certainly add an instant touch of class. A limestone surround positively exudes charm; sandstone is ideal for more intricate designs; and slate offers truly excellent functionality without compromising in any way on aesthetics. The beautifully shiny, reflective quality of a marble fireplace instantly injects a feeling of luxury and sophistication into a room and can really transform and elevate a space. In addition to being a simply stunning way to frame a fire, marble is an extremely easy material to look after and its longevity is unsurpassed. Plump for a classic finish in beige or cream, or push the boundaries by selecting from the more modern palette that incorporates shades of starker black, white and grey. Current design trends are embracing the natural look to which woods lends itself, and bringing the ‘outside in’ is proving very popular among homeowners. Wood fire surrounds are widely available in a huge range of different finishes and work equally well in traditional and more modern settings. In addition to generating a thoroughly cosy ambience in a space, a high-quality wood surround from an ethical supplier ticks all the boxes when it comes to both durability and sustainability. When you undertake to renovate or reconfigure a room, you may decide that underfloor heating or statement radiators will compensate for the lack of a fireplace and stove or open fire. While this may be true in a practical sense, to rule out adding a working fireplace is to rule out giving your room a true centrepiece and one that literally lights up the space. There are a number of options for adding a fire to a room that will suit almost any budget and style. A classic open fireplace is simply a recess at the base of the chimney breast where you can install a fire and surround to suit the dimensions and decor of the room. These look great in both contemporary and period homes. Alternatively, if you are a minimalist at heart, a hole in the wall fire is incredibly easy to install by a Gas Safe registered engineer and comprises a simple aperture set right into the wall with either a gas fire-bed of logs or pebbles or a fire-basket if you opt for a fuel version. If you are looking for the option that requires the least disruption, a hole in the wall fire is definitely the way to go. A wood or multi-fuel stove is always a popular choice from an aesthetic point of view, of course, and these are very efficient heat generators. If you are thinking about either an open fire or a stove, don’t forget to factor in a space to store your logs and/or coal and other necessities such as kindling and firelighters. If you are designing a room from scratch, you could consider building bespoke storage to house these items. In a more rustic style of room, a neatly stacked wood pile can add a real wow factor to a room and is eminently functional. You will need to bear in mind that every sort of open fire - whether gas or solid fuel - will need a hearth unless the manufacturer’s guidelines explicitly state otherwise. The requirements for the size of hearth vary depending on which style of fire you have decided on. 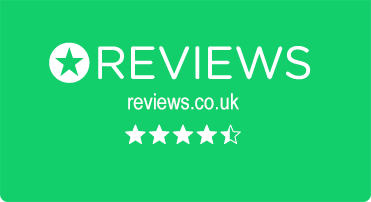 It really is worthwhile consulting an expert before embarking on installation to ensure that you have met current building regulations, both in terms of the proposed dimensions and material of the hearth. A beautiful fireplace is a great investment; therefore, it makes sense to purchase the best spec possible within your budget and to use a trusted installer. Thinking about a hole in the wall fire? While you might think of a hole in the wall fire as a contemporary design feature, it has actually been around for a good number of years. This type of fire has enjoyed a noticeable upswing in popularity recently, largely due to the fact that installation techniques have greatly improved and it is easier and cheaper to fit than in the past. Traditionally, one of the main requirements for a hole in the wall fireplace was a hearth positioned on the floor in front of the proposed location. These days, however, in certain circumstances it can be installed without one. Generally speaking, hole in the wall fires are available in two configurations: self-contained and gas fire insert. There are fires suitable for the type of your particular chimney - consult an expert to ascertain the right set-up for your home. When selecting the perfect hole in the wall fire to suit your needs, take some time to consider what level of heat output you would like; for example, if you have central heating and will be using your new fire as a secondary heating source, you will be able to choose from a wide range of fires. If you are planning to use your fire as the primary heat source in the room in which it is located, however, you will need to do a bit more research to ensure the output is sufficient to meet your needs. If you want to fit a fire in a small room, or dislike the idea of a traditional hearth, a hole in the wall fire is absolutely ideal. Most models are fitted between three and five feet above floor level, which means they don’t take up any floor space. There is a plethora of great designs on the market suitable for any period or style of decor and such fires make an attractive focal point, providing the desired ‘warm glow’ with minimum upheaval. The price you can expect to pay will depend largely on the style and finish you opt for, with popular finishes including stone, various metals and granite. It is possible to enjoy a fully bespoke service, whereby the perfect size and shape of hole in the wall fire will be custom made to fit your exact specifications. For true flexibility, you can’t go far wrong with a hole in the wall fire. Now that the cold weather is in full swing, you may well be wondering how to make your home into a snug and warm retreat. Here are some easy tweaks you can make to add the cosy factor to your living space. As far as your soft furnishings are concerned, you need to make them nest-like by adding throws and cushions in wintry fabrics such as velvet, faux fur or even tweed. You should avoid shiny fabrics such as silk. Many people choose to change their curtains for the colder months, with heavier curtains not only feeling luxurious but also helping to keep the heat in the room and reducing your energy bills. If you have wooden floors, you may want to consider bringing in a large, thick rug. A well-chosen rug can really pull a design scheme together and certainly helps to keep the chilblains at bay! A rug is also a far more practical choice if you have an open fireplace or wood burner. You might be surprised to hear that simply changing the way in which your furniture is arranged can make a room feel much more snug and welcoming. Try to steer clear of rigid square and rectangular configurations; instead, introduce a relaxed and flowing feel with a hexagonal or circular layout. It makes sense to make your fireplace the focal point, if you have one, by turning sofas and chairs to face its warm, comforting glow. Speaking about the fireplace, there is surely nothing more guaranteed to add warmth and winter charm to a room than an open fire or log burning stove. These are a lot easier to install than you may think when installed by a HETAS qualified engineer and come in a range of styles and price points to suit any interior style and budget. If you don't have an existing fireplace, there is no need to despair - a 'hole in the wall' gas fireplace may be installed quickly where there is a standard chimney & may be easier to install than you think when installed by a gas safe registered engineer. This offers the charm of a flame without the upkeep. If you opt for a wood burner, stacking your wood against a wall is a wonderful way to add some rustic charm to a space. If you can make room in your budget, it is safe to say that adding a feature fireplace will certainly add instant charm to any room. There are designs available to suit any scheme, from the traditional to the thoroughly contemporary. Fireplace fashions have changed many times over the centuries, yet the influences from times past can clearly be seen in many modern designs. Fireplaces tended to be open in Georgian times, with either a hob grate or fire basket to hold the fuel. Inglenook styles were huge − big enough to accommodate a chair on either side. The earliest surrounds were fashioned from either stone or brick; later, in larger properties, wood or even slate were used. Early Victorians had a fondness for hob grates; however, from around 1850, register grates made from cast iron started to become popular. Inglenooks started to reduce in size at this time and surrounds were often tiled. The Edwardians favoured cast iron grates; however, as time passed, art nouveau designs became the very height of fashion, although classical simple designs were also produced during this period, made from marble or slate. An original Edwardian fireplace can often be identified by its very large and highly-decorative oak surround, complete with the shelves, mirror and glazed tiles that were typically installed around it. On into the 1920s and 30s and we see a trend towards fully-tiled fireplaces in shades of beige, brown and yellow. Tile fireplaces remained sought after in the 1950s and 60s; however, the colour palate changed to burgundy, sand and straw shades, with faux brick tiles also popular. Today, fireplaces are enjoying a real renaissance and are seen as an attractive feature in any age of property. Many people opt to buy and restore an original fireplace; others install a striking modern installation to make a real design statement. ‘Hole in the wall’ styles are increasingly prevalent and are a simple way to add the charm of a fire to a space with minimal disruption. While contemporary in design, a fireplace of this type can accommodate most types of fire, from multi-fuel stoves to gas. Wood is often chosen to surround fires in larger homes, with darker woods being highly regarded. Although fireplaces made of stone are associated with very old − and often large − properties, they are manufactured in a range of modern styles to suit any home and work surprisingly well in more minimalist settings. Cast-iron fireplaces remain a design classic and are available in both traditional styles and in more modern finishes. A number of modern designers have also started to produce fire surrounds in stainless steel, which is perfect for contemporary living. There are a number of factors to consider if you are planning to purchase a new stove. The first thing to consider is the primary purpose of the stove. If you want to add a second source of heating to just one room, where it will act as a focal point, then aesthetics will be very important. Alternatively, you may be considering installing a stove capable of heating the whole of your home. This will require a model with an integrated back boiler and you will need to think carefully about the required output. Before purchasing ensure you speak to one of our expert team about the maximum output of your preferred model to ensure it will meet your needs. Another sought-after type of stove is one that combines a range cooker with hot water provision. It is important to bear in mind that many parts in the UK are now designated as ‘smoke control’ areas, meaning that if you want a multi-fuel burner, you will need to purchase smoke-free coal and wood from a smokeless zone approved supplier. Alternatively by selecting a DEFRA approved stove, this negates the sole use of smokeless fuels & open the options to legally burn wood in a smoke control area. You will also need to consider what sort of stove will fit best into your home in terms of appearance. Many stoves are designed along traditional lines, although there are also some striking modernistic models on the market. As far as shape is concerned, you will be able to choose between tall and thin, which is more contemporary, or low and rectangular, which is more traditional. A multi-fuel stove is fitted with a grate, which allows you to use wood, coal, or a mixture of the two. A wood burning stove will not generally have a grate of this type, as wood buns most efficiently if it is placed on a bed of ash from a previous fire. Another factor to ponder is whether you would prefer a steel stove or one fashioned from iron. Steel stoves no longer warp as they once did, meaning they can be a great option; however, for a stove with true longevity, it makes sense to plump for one made from iron. The old adage ‘buy cheap, buy twice’ is certainly applicable when it comes to stoves. While there are products available for most budgets, it makes sense to buy the best you can afford, thereby guaranteeing years of hassle-free use. Don’t forget to factor in the cost of flue and flue liner when you are budgeting, as these can really push up the price. Over five and a half million people living in the UK are risking their finances and health by failing to have yearly safety checks conducted on their gas appliances. Such a check can cost as little as £60 − a small price to pay for peace of mind. In 2015 there were over 65,000 emergency call outs connected to home gas appliances in the UK; in addition, the Gas Safe Register has reported that it found faulty gas appliances in a worrying one out of every six of the 140,000+ homes it has examined over the past five years. Such dangers have resulted in the deaths of six people and in excess of 300 reported injuries over the last 12 months alone. When their upkeep is neglected, gas appliances may cause hazards such as fires, explosions, gas leaks and the ‘silent killer’ − carbon monoxide poisoning. These can be life threatening situations and may also cause significant damage to your property, which could cost thousands of pounds to put right. 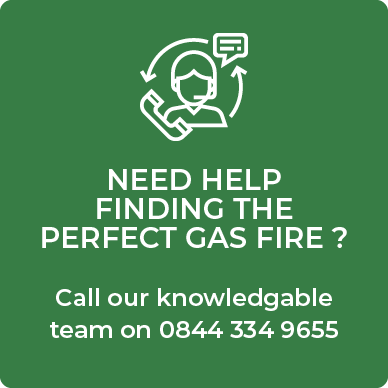 Other often-reported issues associated with badly-maintained or faulty gas appliances include an excess of condensation, which often leads to unsightly black stains and, in some cases, burst gas pipes. Landlords are required by law to have regular gas safety checks conducted in their properties, but this is not the case for homeowners. The Gas Safe Register is making a concerted effort to raise awareness of the risks posed by faulty gas appliances among homeowners to encourage them to get into the habit of having a yearly safety inspection. The public can access a list of all the gas-related incidents that have taken place in their local postcode by clicking on the interactive map at StayGasSafe.co.uk. The site also offers a service whereby homeowners can sign up to receive a reminder when their annual safety check is due. There are a number of simple ways to keep your gas appliances safe, the most important of which is to have them regularly serviced by a registered Gas Safe engineer. If you rent, check that your landlord is on top of this − he or she is legally obliged to do so. It is obviously a good idea to use a high quality carbon monoxide detector and get up to speed with how to spot the warning signs that indicate your gas appliances are malfunctioning. Such signs include the presence of a ‘lazy’ yellow-coloured flame and the appearance of black sooty marks in the area around the appliance. You should also be aware of the symptoms of carbon monoxide poisoning, which include headaches, nausea, dizziness, breathlessness and − in the worst case scenario − loss of consciousness. Cast iron fireplaces are extremely durable meaning that it is possible to produce a bespoke piece to perfectly complement your interior design scheme. From a purely practical point of view, cast iron fireplaces are quick and simple to clean. If you are looking to create a cosy ambience in your home, a cast iron fireplace with a living flame may be the ideal addition. During the cold winter months, there is nothing more comforting than a glowing fire, whether it is fuelled by wood or gas. A quality fireplace adds focus to a room, drawing the eye and creating a warm, welcoming atmosphere. Perhaps the first thing to think about when you are choosing your new fireplace is the layout of the room it is intended for. Always double check the dimensions of your fireplace before ordering. Whether you opt to have tiles fitted to complement your fire is a matter of personal taste. Try to make sure that the tiles you choose work with the design and colour scheme of the room as a whole. Although cast iron fireplaces were traditionally produced to a matt black finish, this is not compulsory. Instead, you could opt to have some of the details picked out by polishing or indeed have the entire installation buffed to a high shine. You will need to decide between a gas burning or wood fuelled fire. If you have an existing open chimney, so much the better, although you should of course get it checked over by a professional before you have a fireplace fitted. If you are unable to ventilate a fire of this type, you may wish to consider one of the many low gas input fires on the market. These give off a very realistic flame, and are reasonably energy efficient too. If you have set your heart on a solid fuel stove for your home, you will probably already be aware that you will need to choose between either a multi-fuel or wood burning model. Understanding a little about your options should help to clarify which is the right stove for your home. Wood burning stoves run most efficiently when new fuel is added to an existing bed of ash. Therefore most are fitted with a fixed grate with a flat base, thus ensuring that the ashes created as the logs burn accumulate in the base of the stove so that new logs can be added on top. This is important for the process of combustion. One of the main selling points of wood burning stoves is their environmental benefits. During the lifetime of an average tree, it will absorb a similar level of carbon dioxide as you would generally expect to consume burning wood in a stove, meaning that it is regarded as a low carbon option. Indeed, provided that you only buy your logs from a supplier who plants new trees to replace those that are cut down, this form of energy can also be classed as renewable. Despite the fact that there are certain key difference between in the design of wood and multi-fuel stoves, the levels of efficiency and the heat output are very similar. If you are lucky enough to have access to a private wood supply, you will probably find that a wood burning stove is an ideal addition to your home, bringing with it a cost efficient boost to your current heating system. Conversely, opting for a multi-fuel stove means that you can source a wider variety of fuels from a local supplier. Whichever option you decide on, you can be sure that installing a real fire will instantly add an abundance of atmosphere and cosy charm to your home.